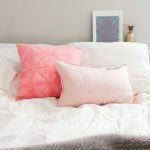 I’m always looking for ways to make my home more warm and inspiring, more Hygge. When it’s too cold to open a window, burning incense has become my go-to for giving my home a refresher. It’s the easiest way to get a natural, earthy scent and clear out old musky smells minus the cold draft. 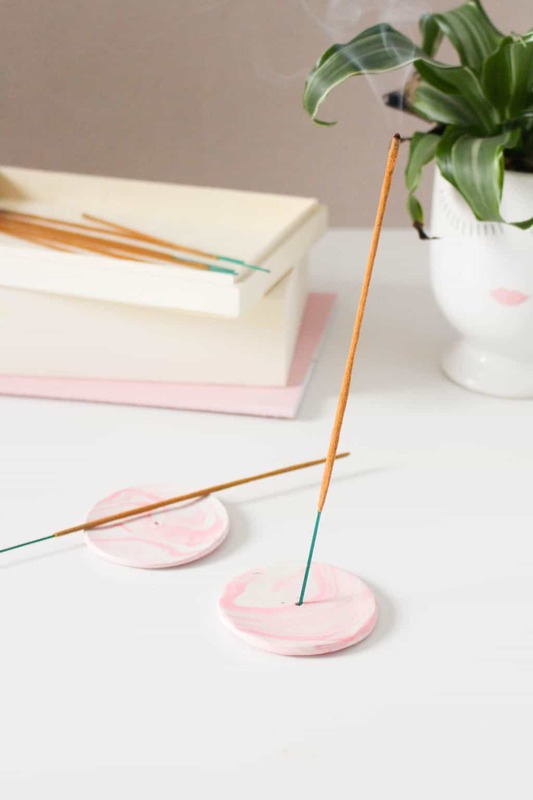 To hold your incense sticks, I, Anusha, recommend these DIY clay rose-marbled incense holders — they’re really simple and take no time at all! 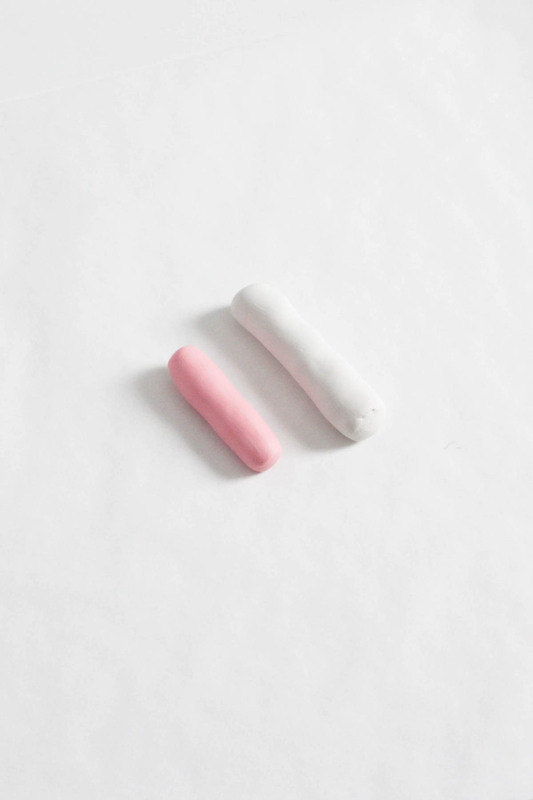 On a clean work surface, combine the white and rose colored clay together. 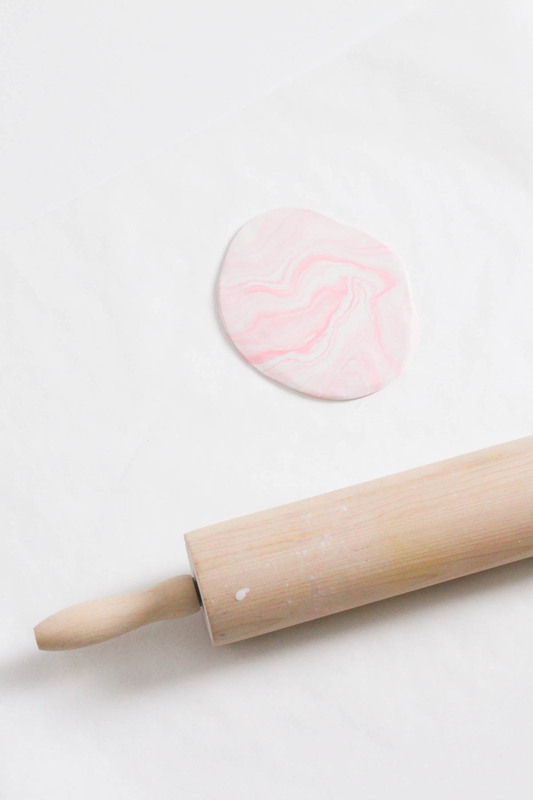 Use a rolling pin to smooth the clay flat which will create a soft marbled effect. 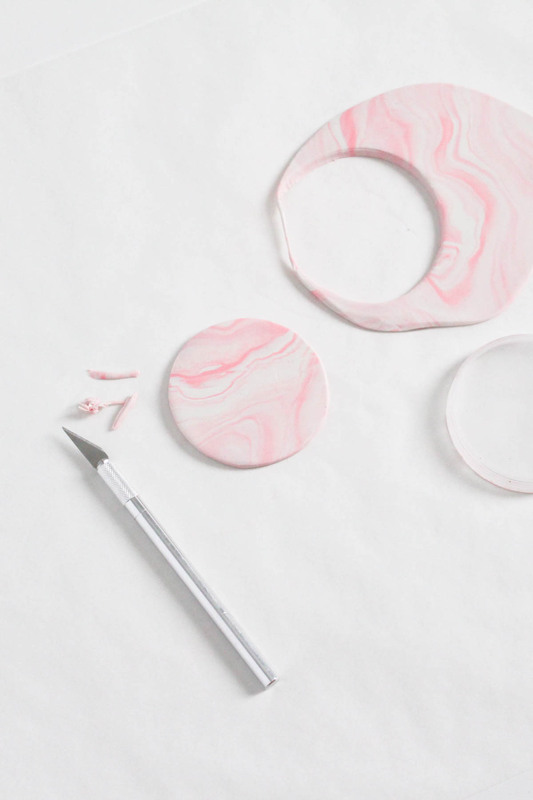 With a circle cookie cutter or a lid, stamp out a circle from the clay. 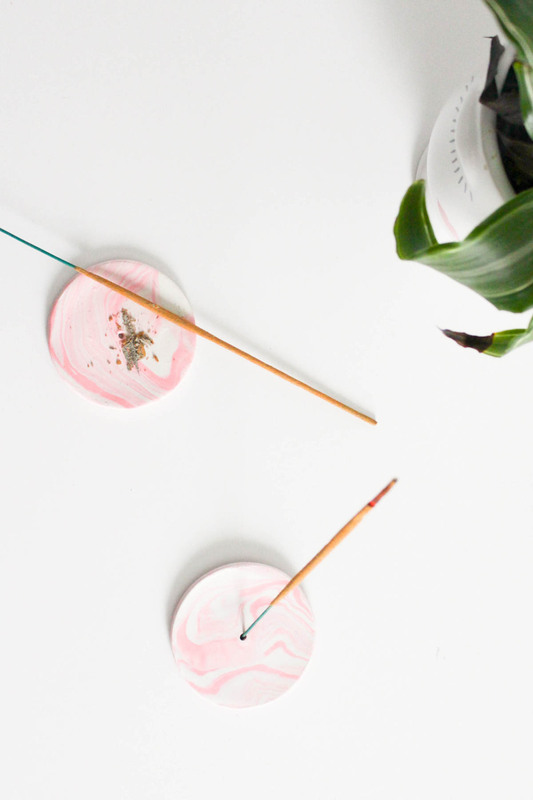 Create a hole in the clay for the incense stick by using a poking tool or the end of a thin paintbrush. Trim any excess clay off the edges with an x-acto knife and smooth the edges with your fingers. 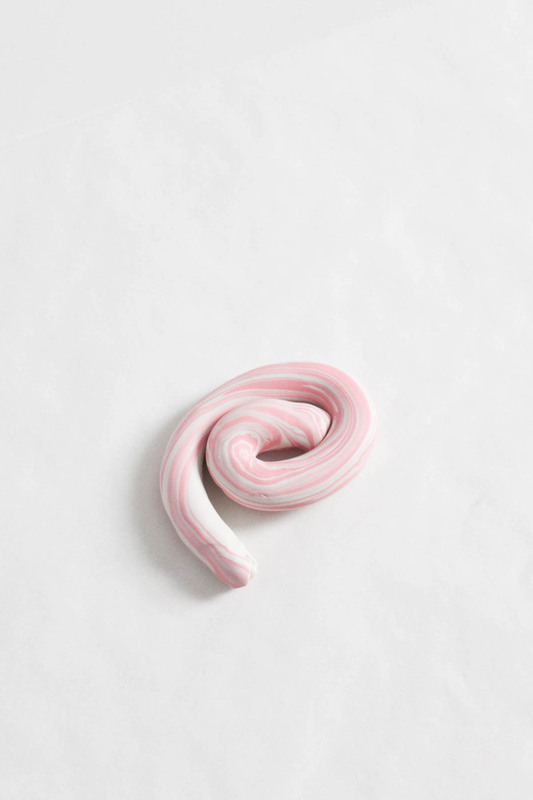 Pull the edges of the circle clay up a bit with your fingers to create a shallow bowl. Finally, follow the package instructions to bake your clay. I baked it in our oven at 200º F for 6 minutes. Once it’s cooled down, it’s ready to use! 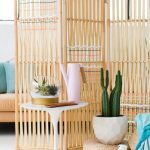 Now there’s somewhere to put your incense sticks and keep ash piles off your furniture. Win-win! 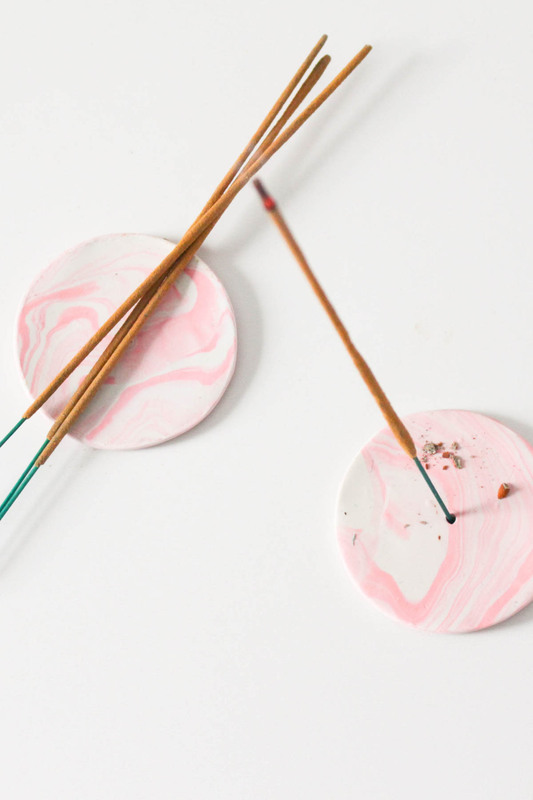 Are you a fan of burning incense or candles? 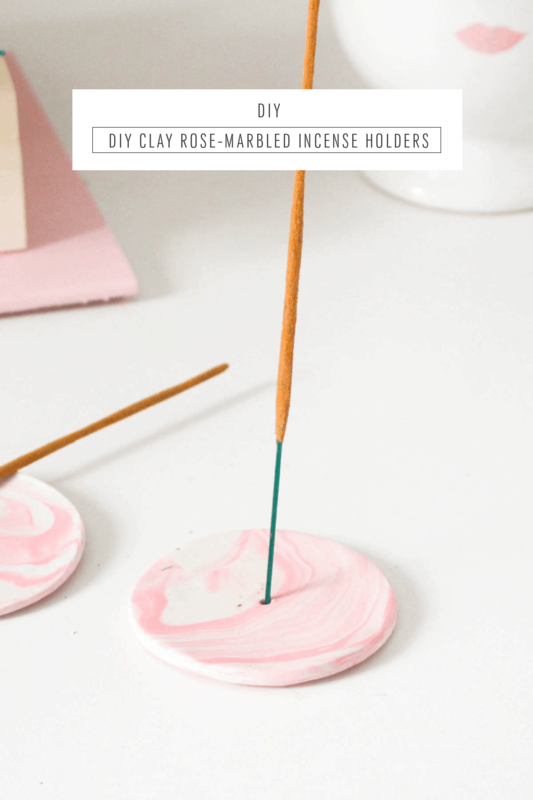 I’m certainly excited about these DIY clay rose-marbled incense holders! Love the marble effect! I did one of those about a year ago but sadly it was too small the burned incense would fall outside the little holder ahah well.. lesson learned! 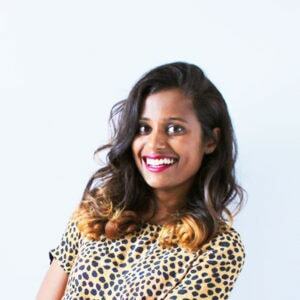 Wow thats really neat, Anusha! She did such a great job! 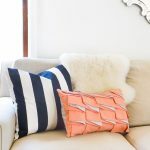 Love her first DIY for Sugar & Cloth!